A proud product of Sierra Leone, West Africa, Sooliman Ernest ''Rogie'' Rogers (S.E. 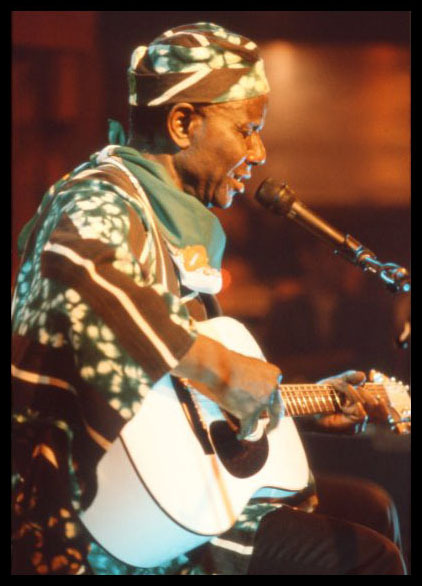 Rogie) entertained millions of people in the continents of Asia, Africa, North America and Europe with his beautiful silk-like baritone ''golden'' voice and outstanding High Life (Palm Wine) guitar-playing before his passing on July, 4 1994. Rogie's music continues to earn new followers across the globe including music lovers from the continents of Australia and South America. 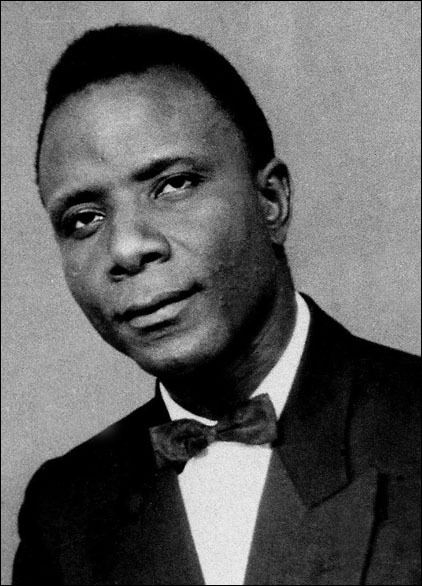 With a music career that spanned 50+ years, his many accomplishments included a special performance for the "Queen of England" in 1961 during the celebration of independence of Sierra Leone from Great Britain. In many circles in different countries in Africa including his home country, Sierra Leone, Rogie is referred to as an ''African Success Example'' that others should aspire to. S.E. Rogie was an unrelenting businessman, an enthusiastic entertainer, and a true ambassador for continent of Africa. Please Go Easy With Me. In 1973, S.E. Rogie migrated to the United States and resided in the San Francisco Bay Area (Berkeley, Oakland, Richmond, and El Sobrante). He stayed in the United States until 1988 when he moved to London, England. 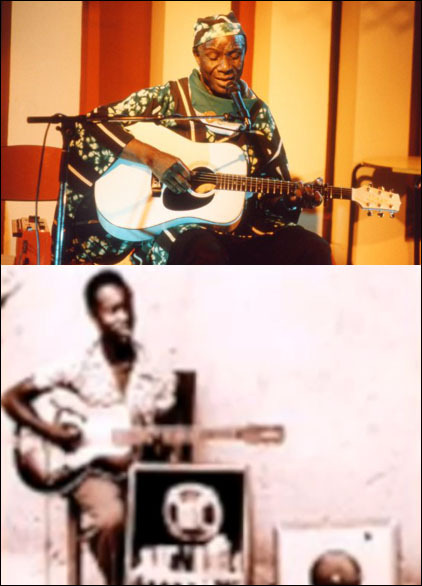 Rogie's 15-year stay in California did not produce the big-bang success he had experienced in Africa, but it did create an underground culture for African music that sprouted many followers, copy-cat bands, and recognition from the U.S. local and federal governments. In the 1980's, S.E. Rogie's contributions to the American way of life were recognized by the United States Congress, the United States Senate, and the cities of Berkeley and Oakland in California. 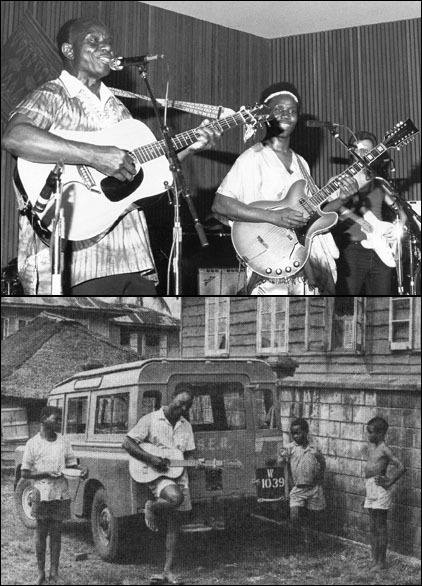 Rogie's ''African Folk and Culture Show'' developed educational programs for American school children and created entertainment projects for the convalescent-bound elderly in the San Francisco Bay Area. S.E. Rogie was born, Sooliman Ernest Rogers, in 1926 in the town of ''Fonikoh,'' which is located in Pujehun, the southern district of Sierra Leone, West Africa. His father was a prominent community leader whose name was Mboima Kpaka. ''Kpaka,'' which translates to ''Rogers'' is both a surname and a reference to a certain group of people largely located in Southern Sierra Leone. Kpaka speak Mende, one of many dialects spoken in Sierra Leone. The Mende tribe is one of the largest groups in the Sierra Leonean population. How Does KPAKA translate to ROGERS? The story is told that a certain British Christian Missionary whose name was Rogers, took great passion for the Mende people. While living among the people, Rogers developed a liking for a small three-legged seating stool called kpaka. Observing his unconventional attachment to the stool, the people, nicknamed him as Kpaka and in reverse, nicknamed themselves as Rogers. The name stuck. How Did ROGERS become ROGIE? In many western societies, if your name is Charles, your nickname is Chuck; if your name is James, your nickname is Jim; if your name is Robert, your nickname is Bob, and so forth. Earlier in his career S.E. Rogers started referring to himself as ''Roy'' and ''Rogie'' in his songs. As time past, the ''Rogie'' name became more prominent. Sooliman Rogers eventually adopted S.E. Rogie as his official name. Now in Sierra Leone and other places, if your name is Rogers, your nickname is automatically Rogie. Every Kpaka is now a Rogie. S.E. Rogie is voted as one of the best African musicians, ever. In December 2004, the British Broadcasting Corporation (BBC NEWS) conducted a ''What is the best song ever produced by an African musician?'' poll. Out of the millions of songs produced from African, they selected 10 of which, one of them was ''My Lovely Elizabeth'' by S.E. Rogie. The true mark of success in any endeavor is evident by the fact that others after you may try really hard to copy you, to be just like you, and/or to use your inspiration as a springboard to lunch their own dreams. S.E. Rogie's music continues to inspire the world and many types of musicians (in different genres, even Rock'n'Roll) have attributed their inspiration to S.E. Rogie. Rogie died on stage in Russia. Many people will say: ''I want to die doing what I love.'' In the case of S.E. Rogie, this was literally true. Many months before his death at age 68, Rogie had undergone a by-pass heart surgery. While he canceled a few shows to rest and heal, he could not pass the opportunity to entertain the Russian people. Against the advice of his doctor, half-healed Rogie traveled to Russia to perform what would become his last show. S.E. Rogie lost consciousness while one stage performing. His soul slipped into the other world and left this earth forever. He continues to be missed by people everywhere even as his music continues to gain universal appeal. son of S.E. ''Rogie'' Rogers. If you knew S.E Rogie in person, when you first meet Rogee Rogers, the greatest awe that strikes you is how much he resembles his father. Someone has commented that the two men could have been ''identical twins born 40 years apart.'' After you get over the resemblance, settle down and listen to Rogee play one of his dad's song. Close your eyes as you listen and you will swear that you were in the presence of S.E. Rogie. This is quite an amazing thing that happens only in a few musical father and son duos. Another example of this is the case of reggae legend, Bob Marley, and his son, Ziggy Marley. 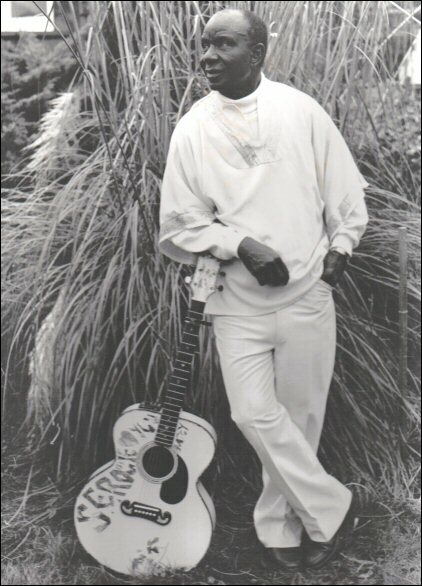 In his own rights, Rogee Rogers is an accomplished entertainer who has written over 300 songs. He can play multiple instruments including the guitar, bass, piano, drums; and performs all the lead and background vocals in his recordings. He is also an skilled music and TV producers. He currently lives in the United States.